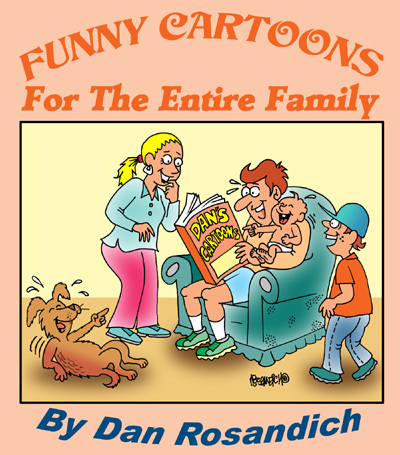 Gag cartoons have been a traditional cartooning discipline for many professional cartoonists and an excellent gateway for cartoonists to achieve their ultimate publishing goals. Many cartoonists start out creating their perfect vision of a comic strip idea and offer these comic strip concepts to the syndication business. A few have tried several times and then finally achieve their goal of getting something syndicated while some cartoonists have been comfortable in the business of gag cartooning. For the gag cartoonists who are lucky, they’ll have a style that appeals immediately to bigger audiences such as The New Yorker. Those New Yorker cartoonists not only have a contract with Conde Nast but then their rejected cartoons can then be archived and offered for licensing via the New Yorker’s subsidiary online cartoon database. Gag cartoons are the versatile in so many ways because they can be applied in many different applications, either digitally or in hard copy. They are illustrative cartoons which can be used in many ways! Some of the best single panel cartoons are those memorable panels that have been submitted to magazines that buy cartoons. 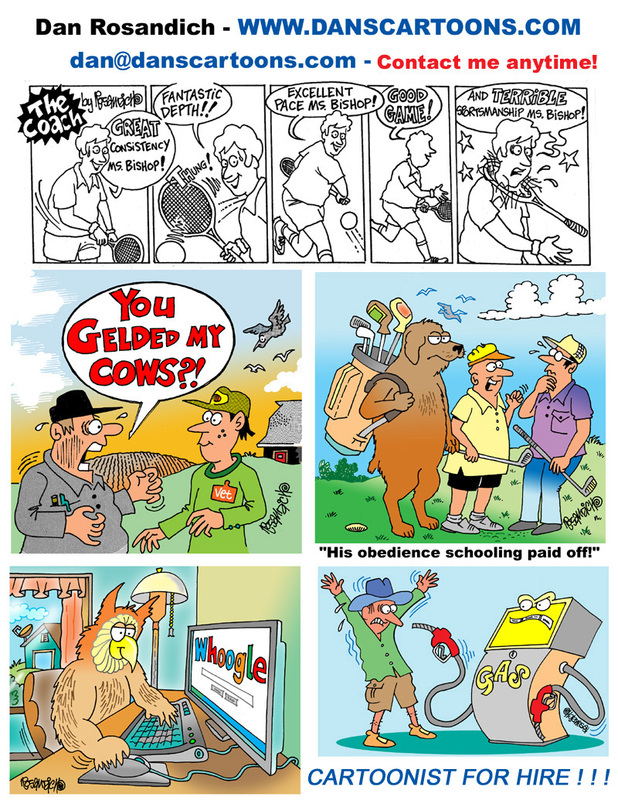 Some gag cartoonists will stick with the general magazine field and offer their work to newsletters, trade journal and regional magazines while acquiring regular clients who assign custom cartoons for articles that the magazine publishes. Some magazine gag cartoonists will also offer their services on other levels. How cartoonists promote themselves is another important factor if those illustrators intend on making cartooning a business. In this technological age, cartoonist also have their work appear on social media where it’s not at all unusual to see cartoons for Facebook, Twitter and other platforms appearing regularly. Gag cartoons can now be used not just in magazines, newsletters and other hard copy print media, but they are also very popular in the digital realm and licensed for use in presentations, on Instagram and for use on company web pages and other social media platforms. 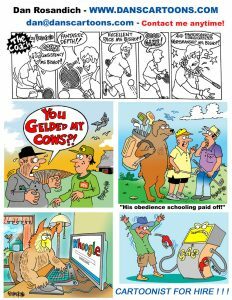 Custom blog cartoons are yet another popular online feature that can be also mentioned. There are so many avenues lending themselves to the use of gag cartoons. Thanks for taking the time to visit and feel free to contact me with any questions if you’d like to use any of my cartoons.